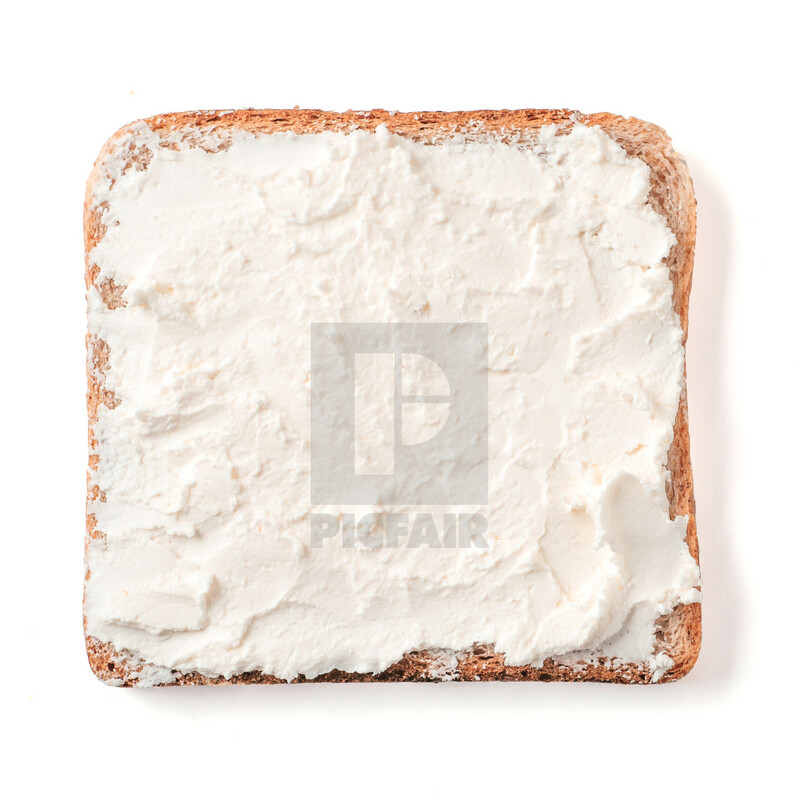 Bread slice plaster soft curd cheese isolated on white, clipping path. Slice of multigrain bread square form with white soft cheese for toast. Top view or flat lay.